Before my family began the process of having our home built, I learned that we should expect to go at least 10% to 20% percent over the estimated budget. While I didn’t believe it at the time, it is safe to say that I learned the truth that building a new home costs more than you think it will. The costs of building a new home can vary widely depending on what part of the country you are in and how elaborate you want your new home to be. Things that you might not expect can add significant costs, such as complicated roof lines (multiple gables or peaks) or curves in the architecture of your home. Selecting a Floor Plan. You can purchase a complete floor plan online, and the prices range from a few hundred dollars to a few thousand dollars. Use a stock-plan from a semi-custom builder for free, or spend a significant amount of money on an architect to complete this step. Finding a Builder. You can shop your floor plan and receive bids from builders if cost is your primary focus, or you can use a builder you have already located who helped you to design your plan. Getting a Comprehensive List of Specifications From the Builder. In most cases, you will need to pay a deposit before this occurs, as this can be a time-consuming process. Finding a Construction Loan. The mortgage lender must review the floor plan and specifications provided by the builder to appraise your home and determine how much they are willing to lend you. Typically, you have to put down a significant down payment – sometimes as much as 25% – in order to get a home construction loan. You also need to pay for the appraisal, your own credit checks, and any origination fees or points required by the lender. Title insurance on the land is typically purchased at the time when you close on your construction loan, and you need to buy construction and/or homeowners insurance at this time. The Building Process. During this time, the builder receives the money you are paying to build the house. Typically, this is paid out in increments as different stages of the home are completed. You may find yourself going over budget in certain areas during this process, and will need to pay for these costs. Closing on the Final Loan. Once the home is completed, you need to take out a final loan to pay off your construction loan. This is the mortgage you will use to actually pay off the house. There is generally another set of closing costs when you take this loan, and the house also must be appraised again. If the house does not appraise for what it cost to build, you’ll have to bring more cash to the table. Permit Fees. It may be necessary to purchase a building permit, a sewer/septic permit, an electrical permit, or an occupancy permit, among others. The costs of these permits can total several thousand dollars depending on your country rules and the size of your project. Lot Prep Fees. There is a lot of work to be done to prepare land for being built upon. You must clear trees (if you are on a wooded lot) and account for drainage so that you don’t end up with a mud pit in your backyard. Clearing space for and pouring a driveway may also be a costly necessity. And if your lot isn’t flat, it is necessary to have the land graded. Site prep for a relatively flat plot of land can cost between $3 and $6 per square foot for a home, while a steep wooded lot that requires a lot of grading and prep could cost $15 per square foot or more to prepare. Utility Costs. If you don’t already have access to electricity, you must pay for the electric company to connect to your home, and if you have a gas line near your property, you need to pay for a hookup to natural gas. If you don’t, it is necessary to install an underground or above-ground propane tank. A connection to the local sewer system also costs money, as does the creation of a septic system. Lastly, you either have to pay for a connection to public water, or dig a well. The costs vary widely depending on what you need. In Christianburg, Virginia, for instance, it costs residents $2,000 for each connection to water and sewer. However, if you were to drill a well and did not hit water until you were 500 to 600 feet down, you might spend as much as $10,000 in drilling expenses. These are just some of the basic costs that you need to prepare for to build a new home. This does not include the actual cost of the materials or labor necessary to actually build the home. The cost of actually building the home is negotiated with your builder. The builder outlines the cost of the home in a construction contract, and you must pay accordingly. Your builder, in turn, pays the subcontractors performing work on your home. 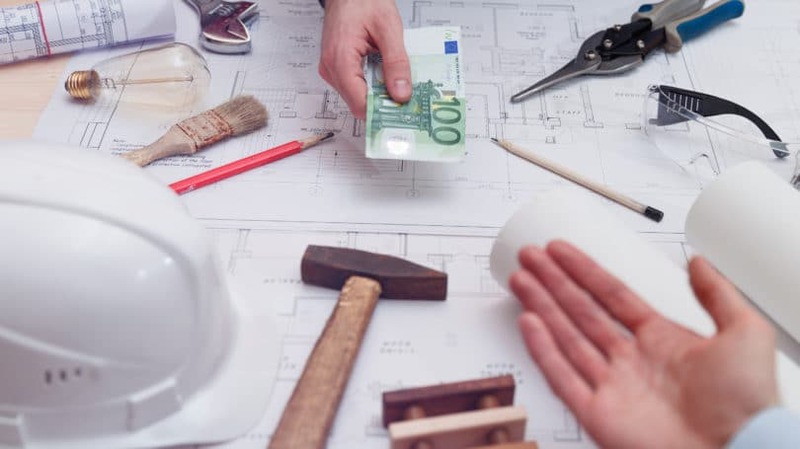 While you can serve as the general contractor and pay the subcontractors yourself to avoid paying a builder, most mortgage lenders are very reluctant to consider owner builds, and you might have a difficult time financing the project. Your construction contract should be as detailed as possible and should specify not just the price of the house, but also what materials are to be used. The more detailed your construction contract is, the more accurate the estimated cost, and the easier it is to stick to the budget. At the very least, your contract should include blueprints and details about the building materials to be used, including insulation, roofing material, types of windows and doors, type and style of framing, and all other technical aspects of the build. When you purchase floor plans online, they may come with some of the schematics needed for your blueprints, but you may need a local engineer to review the plans and sign off on the project. If you use an architect or a residential designer, on the other hand, it is their responsibility to have the drawings reviewed by an engineer to get the required approvals. There are, of course, fees for utilizing an architect or designer. An architect may charge as much as 10% to 15% of the cost of your home construction, while residential designers often charge a flat fee. There may also be other details to include in your contract to help create a more accurate estimate. For instance, if your contract specifies that paint is included, find out how many colors this includes and what the up-charge is if you want more than just one or two colors for different rooms. While you should make your construction contract as detailed as possible, often it is difficult or impossible to specify every single material that will go into your home before you start the build process. This becomes especially complicated when you are building a truly custom home, rather than a house in which you have a few limited choices for each component. When you are allowed to choose any items you want to go into your home, from carpet to floors to cabinets, your construction contract typically specifies allowances. Your builder includes these allowances in the contract, along with a price range. He bases the amount given for your allowances on the price of the home, your information about your budget, and any information you provide regarding your needs (for instance, if you tell your builder you are an avid cook, then a larger appliance allowance may be specified in your contract). Allowances are exactly what they sound like: You get a set amount of money for a certain product, and if you go over, your house will cost more than the contracted price with your builder, requiring you to pay the difference. If you are given allowances in your contract, be sure to check them carefully to make sure they are reasonable. You may want to even consider pricing out some of your options beforehand to find out if you can stay within your allowance. Some builders who want to appear to have an especially affordable bid will set these allowances so low that it is essentially impossible to stay within them. When this occurs, you could find yourself with some unexpected and unpleasant surprises during the build process. 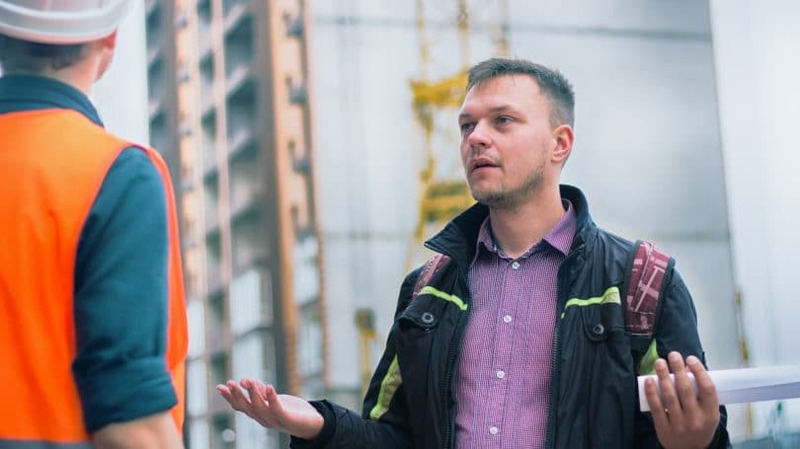 To identify unrealistic allowances, pay attention to whether one builder is way out of line with certain items when compared to the other bidders. 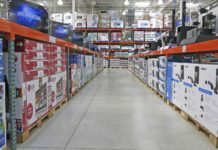 You can also use the Internet to get an idea of what items like lights and cabinets should cost, and then compare that with what your builder has allotted in the bid. Even if your allowances are reasonable, you still need to be careful during the construction process. It is easy to get carried away and fall in love with the perfect counters or appliances that are just a little bit more expensive than your allowance – but remember that it all adds up in the end, and that you will be responsible for coming up with the extra money. Often, you must pay this money out-of-pocket unless the things you add increase the appraised value of your finished home, since the lender that provides your end loan is going to base the amount they are willing to lend on what your house is appraised for. Construction is a messy process, and surprises are likely to come up along the way. For example, your builder may start to dig a well and not find water, or your home might turn out to have serious drainage issues that need to be dealt with. It is best to be prepared for the reality of these unexpected expenses before you start. This means making sure to have at least a 10% cash cushion in your emergency fund on top of the down payment, so that when a surprise does arise, you aren’t left without the money to pay for it. While it can be expensive, building a new home can also be a rewarding process. As long as you make sure that you are truly ready to undergo the cost of building a home and you have a financial reserve in place, you may find the costs to be worth it to get the home of your dreams. 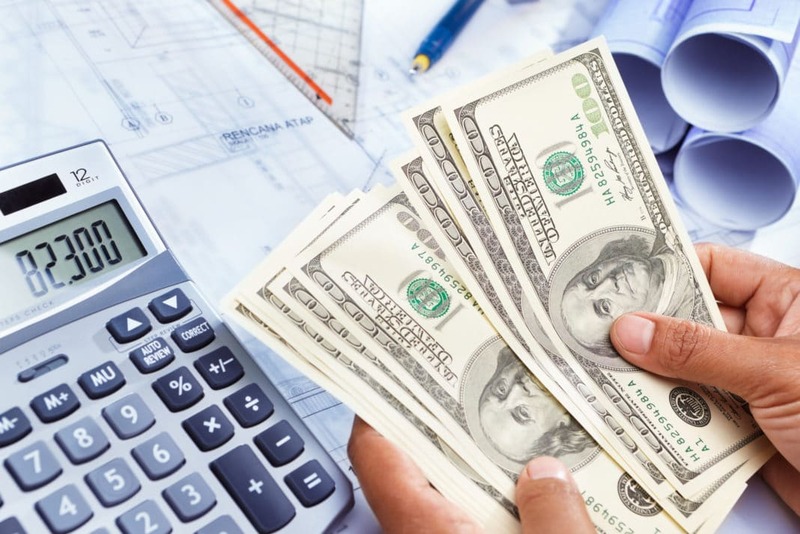 If you are worried about where to come up with the cost of the down payment and the cash cushion, however, you likely are not ready for the cost of a new home build. Have you built a new home? What other expenses did you run into?